A perfect way to spend a chilly evening in Barcelona is to surround yourself with warm sounds of jazz and blues. 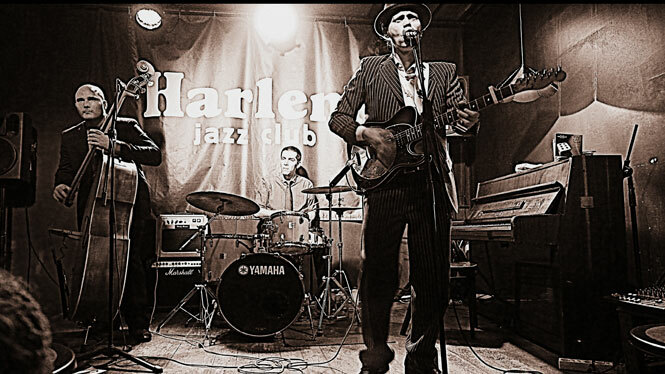 On the December, 5 Harlem Jazz Club hosts the Blues Jam Session worth seeing and listening. The singer and composer Hernán Senra, known as “El Chino” one of the most active and high-quality bluesmen, leads the session, Rod Deville plays the double bass, and Giggs Nother is on the drums. The concert starts at 10:30 pm and costs 7 €. The address is Carrer de la Comtessa de Sobradiel, 8. If you can’t make it this time, check their program, Harlem is a really nice place for a good old live session. If you are one of those attracted by noisy Irish pubs, with all these club sandwiches, beer and noisy expats all over the place, you should check George Payne Irish Pub. To make the place even noisier, they host karaoke nights every Thursday and Sunday! You pick a song and wait for your turn; in the meantime, you get to enjoy a few drinks and suffer from squeals of the neighboring table. It starts at 20:30 and around 22:00 it gets crowded. In these cold-cold days, self-pampering is a must! Check out a pretty spot we found to indulge in your sweet desires. Bubo is a unique patisserie shop in El Born, which offers one of a kind pastries, chocolates, and sweets. The idea of the owner was to create a place where sweets are sold like jewelry, and you can tell by the interior design and the refined products that the guy has achieved the goal. We recommend the “Gianduja” and the “Loreak Babylon”. But don’t limit yourself with them. Bubo has a lot to offer to satisfy your desires for sweets. The address is Caputxes, 10. If you are searching for an interesting and funny way to improve your English, or just do something different from your routine, here is something you might like. You can watch the play until December, 10 at 8 pm (on Sunday at 6 pm). Get your tickets and read more info here.